DRITZ-Hook & Eyes. Hook and eye closures are perfect for a little added security when accompanied by a zipper in slacks, skirts, dresses and much more. 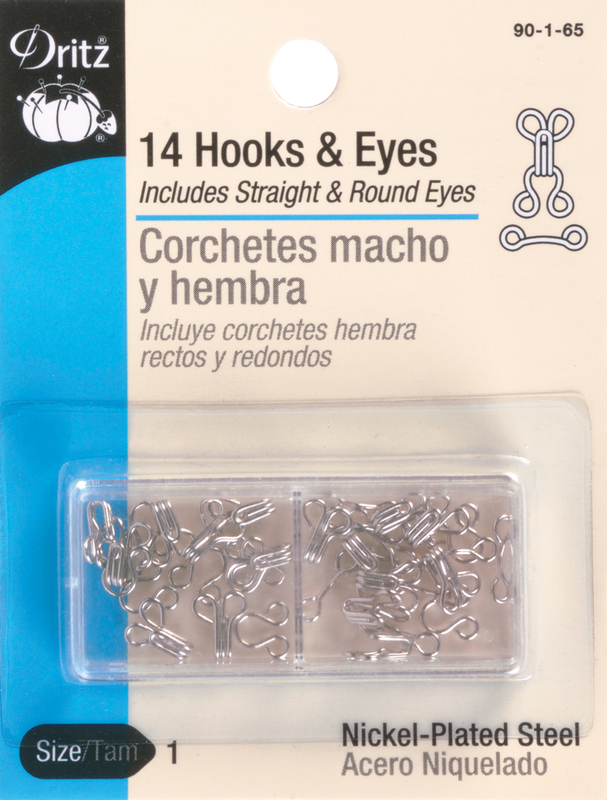 This package contains fourteen size 1 silver hooks, seven round eyes and seven straight eyes. Imported.